Senior attacker Kaleigh Craig and freshman goalkeeper Mallory Weisse garnered honors this week for the Wildcats, receiving Big Ten Defensive Player of the Week and Big Ten Freshman of the Week, respectively. Although Craig leads the team with 27 goals this season, the Big Ten recognized the senior for her superb defense against Michigan and Notre Dame last week. The attacker recorded a career high three caused turnovers against the Wolverines, while also securing two ground balls and chipping in 3 goals. Craig also forced two turnovers against the then-No.5 Fighting Irish and scooped up two more ground balls. 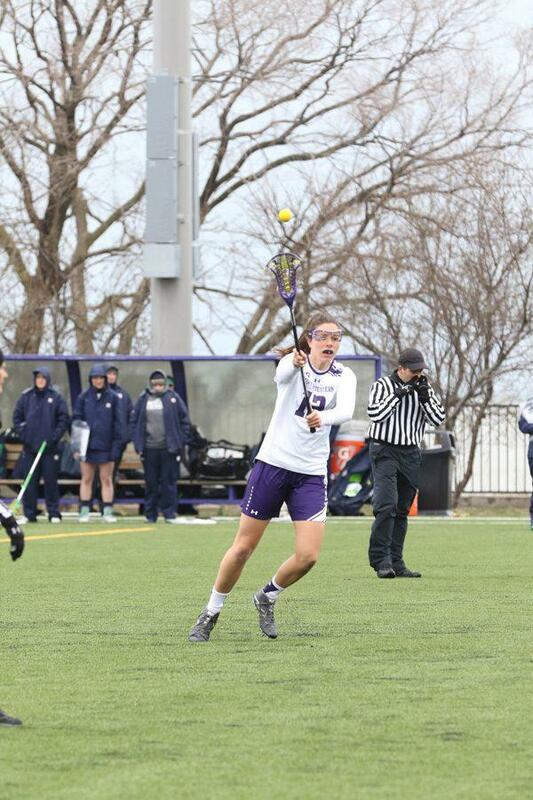 The league named Weisse the top freshman of the week for the second time in her Northwestern career. The first-year goalie saved 14 shots last week, and held Michigan to only 4 goals. She also limited Notre Dame’s high-powered offense to only 3 goals in the first half, allowing the Cats to get out to an early 9-3 lead. Weisse is currently No. 36 in the country in saves per game and leads the Big Ten in both saves and saves per game. No. 16 NU hosts No. 5 USC on Friday.